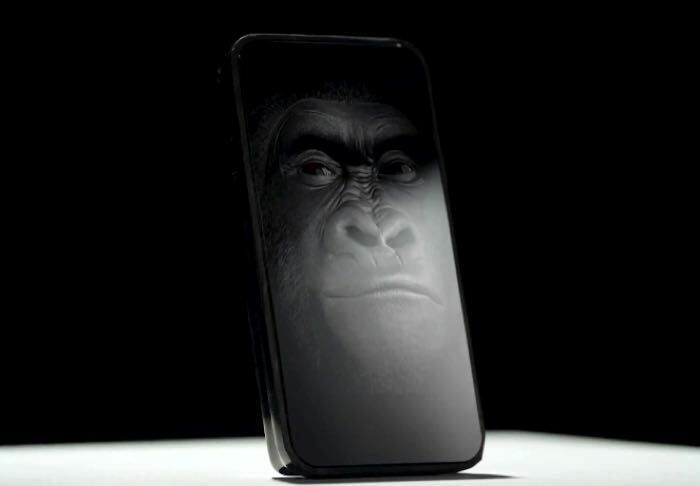 Smartphone glass maker Corning, has announced the launch of their new Gorilla Glass 4, and they have designed their latest glass to be tougher than previous versions. According to Corning, their new Gorilla Glass 4 is up to two times tougher than alternatives, and they have focused on making their new glass less susceptible to breaking when you drop your smartphone. Gorilla Glass 4 provides at least two times improved damage resistance over competitive aluminosilicate glass, as measured by retained strength after damage events, resulting in improved mechanical durability of the glass to in-field damage events, such as drops. Corning scientists examined hundreds of broken devices and found that damage caused by sharp contact accounted for more than 70 percent of field failures. The scientists then developed new drop-test methods that simulate real-world break events, based on thousands of hours analyzing cover glass that had broken in the field or laboratory. The scientists used the new methods to drop devices face down from one meter, such that the cover glass directly contacted a rough surface. Apple and a number of other smartphone makers use Corning Gorilla Glass in their devices, and we can expect to see this new Gorilla Glass 4 in future devices soon, as the company has started sampling the glass to their partners.